Although the Easy Plugin for AdSense plugin is designed to handle Google AdSense efficiently, there is nothing preventing you from using the text boxes to place any other kind of text in your blog posts and pages. विशेष रूप से, you can use ad text from other providers, especially in the header and footer. Coding improvements, including separating the HTML of the setting page from the PHP file. Ads are inserted by attaching a filter to the contents. If your home/front page is made up of full posts, the content filter will apply and you will see ads. दूसरी ओर, if your home/front page is made up of excerpts (snippets of post contents), the content filter doesn't apply. It is possible to apply the filter on excerpts as well. लेकिन तब, we have to make sure that it applies only to the first three excerpts (to comply with Google policy). This feature is implemented in the प्रो संस्करण of the plugin. Note that you have to generate your adsense code from Google, and paste the entire code in the text boxes, replacing the existing text. There are three main text boxes corresponding to three ad locations - Lead-in, Mid-text and Lead-out. If you don't want to use a particular location, please suppress it by selecting the appropriate option. अन्यथा, the plugin will show a red box (if you are logged in as admin) indicating where your ad would be shown. Easy Plugin for AdSense draws a red box on your blog posts to show where the ads would be shown if you entered the ad code on its admin page. (These boxes are shown only if you are logged in as admin.) This is meant to serve as a reminder for you to go to the admin page and enter the ad code. If you would like to suppress them, check the option "Suppress Placement Boxes" in the Pro section. The right thing to do, हालांकि, would be to enter your ad codes in the text boxes for each ad slot, or suppress the ad slot in the Ad Alignment panel. Easy Plugin for AdSense is the freely distributed version of a premium plugin. The प्रो संस्करण gives you more features -- it lets you activate a filter to ensure that your ads show only on those pages that seem to comply with Google AdSense policies. आपके विज्ञापन नहीं दिखाया जाएगा, जहां यह भी है कि आप कंप्यूटर की एक सूची निर्दिष्ट कर सकते हैं, अपने ही विज्ञापनों पर आकस्मिक क्लिक से बचने के क्रम में -- मुख्य कारणों ऐडसेंस की है कि आप पर रोक लगाई. These features will minimize your chance of getting banned. It also has full support of mobile devices, and supports per category and per post ad suppression. प्रो संस्करण की लागत $7.95. Short answer: ऐसा नहीं, I couldn't figure out how to do it better. Long answer: This option works by adding an action to a hook in WordPress. I could not find a hook that would get activated right after the <body> tag in the generated HTML, and right after the header image is placed (and before the sidebars are inserted). If you know the hook names, कृपया मुझे बताओ. भी, if your theme has "side" bars near the header and footer (north and south sidebars), there may be conflicts between add_action hooks resulting in unexpected behavior. ध्यान दें कि Below Header और End of Page options are hacks that may not be compatible with the WordPress default widget for Recent Posts or anything else that may use DB queries or loops. If you have problems with your sidebars and/or font sizes, please choose some other Position option. सभी <div>s that Easy Plugin for AdSense creates have the class attribute adsense. और भी, वे वर्ग की तरह विशेषताएँ adsense-leadin, adsense-midtext, adsense-leadout, adsense-widget और adsense-lu depending on the type. आप अपने विषय में इन वर्गों के लिए शैली सेट कर सकते हैं style.css उनकी उपस्थिति को नियंत्रित करने के लिए. हाँ! अब, in V2.1 , आप अधिक विकल्प हैं (का उपयोग करते हुए Custom Fields) to control adsense blocks in individual posts/pages. जैसे कुंजी के साथ कस्टम फ़ील्ड जोड़ें adsense-top, adsense-middle, adsense-bottom, adsense-widget, adsense-search और जैसे मूल्यों के साथ left, right, center या no to have control how the Google adsense blocks show up in each post or page. A Custom Field adsense मूल्य के साथ no suppresses all AdSense ad blocks in the post or page. In the Pro version of this plugin, you can control the ad placements using the shortcode [adsense] in your blog posts and pages. If you would like to place your ads using shortcodes, please enable it on the Pro page. You can also specify a second argument like [adsense leadin] to insert the lead-in ad, उदाहरण के लिए. The second argument can be leadin, midpost, या leadout. 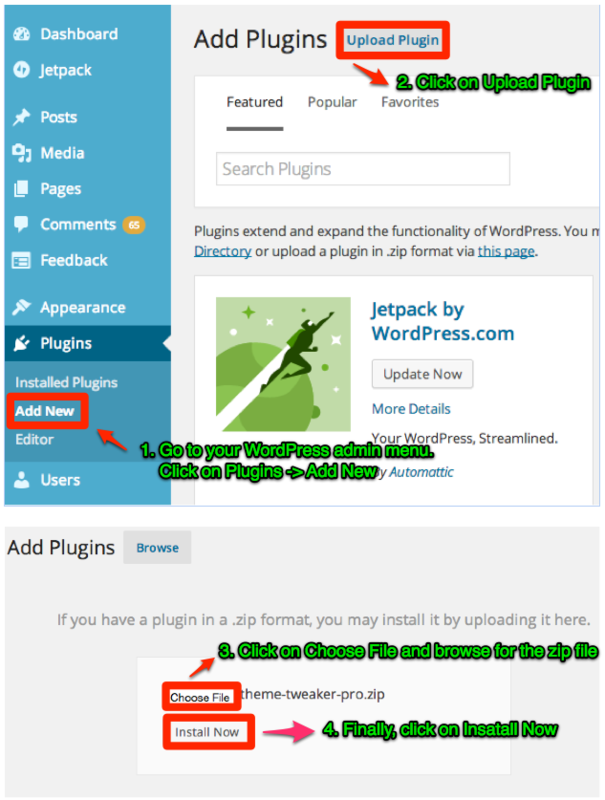 The last option effectively disables the plugin for the body of posts and pages, leaving the widgets unaffected. If you feel that the features of Easy Plugin for AdSense are a bit too much, consider my lean and mean AdSense plugin ऐडसेंस अब! You can download the previous version and install it. First deactivate and delete the latest version of the plugin, and then follow the Uploading method under the स्थापना section of this document. The new version uses an completely different options model, and your old options are left intact in your database, so that you can go back anytime. यह PHP फाइलों तक सीधी पहुंच की जरूरत है कि केवल अपने वेबसर्वर है कि नोट. इस तरह के उपयोग को रोकने के लिए कारण एक हैकर एक दुर्भावनापूर्ण पीएचपी अपलोड करने में सक्षम हो सकता है (या अन्य निष्पादन स्क्रिप्ट) अपने वेब होस्ट करने के लिए, करने के लिए कहा, तो अपने वेबसर्वर चलेंगे जो. इस तरह की एक चिंता का विषय केवल आप स्पष्ट रूप से अनियंत्रित फाइल अपलोड की अनुमति जहां सिस्टम पर मान्य है. उदाहरण के लिए, किसी को भी अपने मीडिया फ़ोल्डर में किसी भी फाइल को अपलोड कर सकते हैं, और अपने मीडिया फ़ोल्डर सीधी पहुँच और स्क्रिप्ट निष्पादन के खिलाफ सुरक्षित नहीं है, आप संभावित हैकर एक हमले वेक्टर दे दिया है. This plugin has no upload facility, so allowing your webserver to serve the plugin admin files in an iFrame is completely safe, अपने फैसले में.